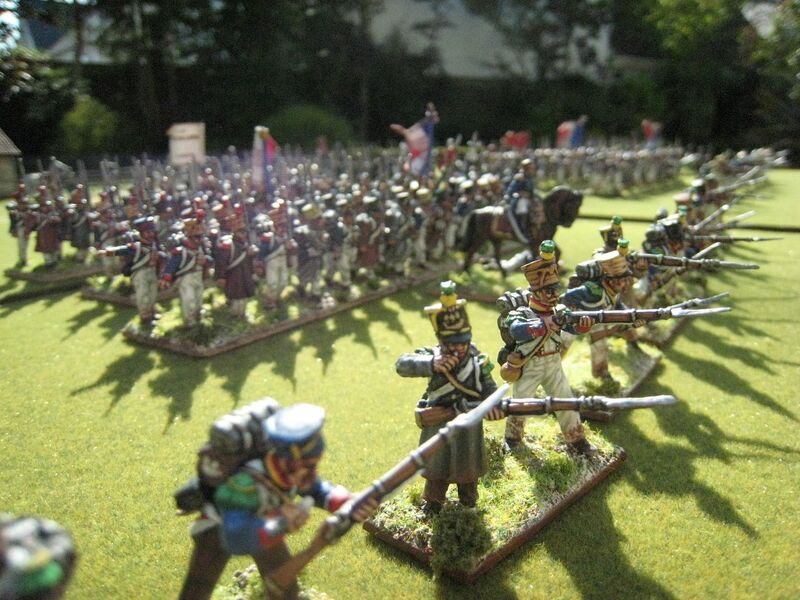 It's been a busy past couple of months and I've neglected this blog appallingly. I am sorry. 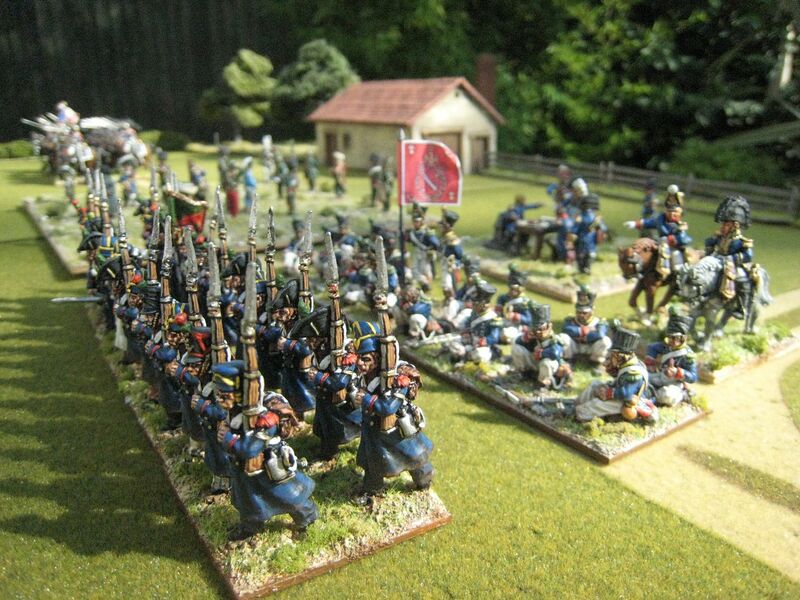 However, I'm pleased to say that recently I've managed to photograph everything I've been painting over the past .4 months and this means I'll be able to post regular updates from now on. For various reasons I've been finding it difficult to take satisfactory photographs. I don't claim that I've resolved the best place and time in which to take them, either in my garden or the kitchen, but at least I have somethig I feel able to post. 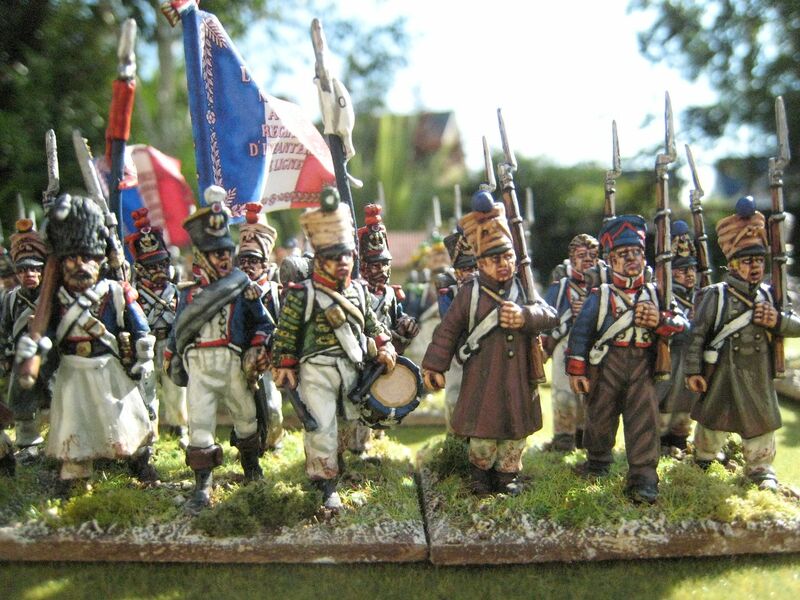 Painting has proceeded apace - my ACW Reb army now stands at 6 completed and based regiments and I have lots of First Carlist War stuff finished and on the workbench. 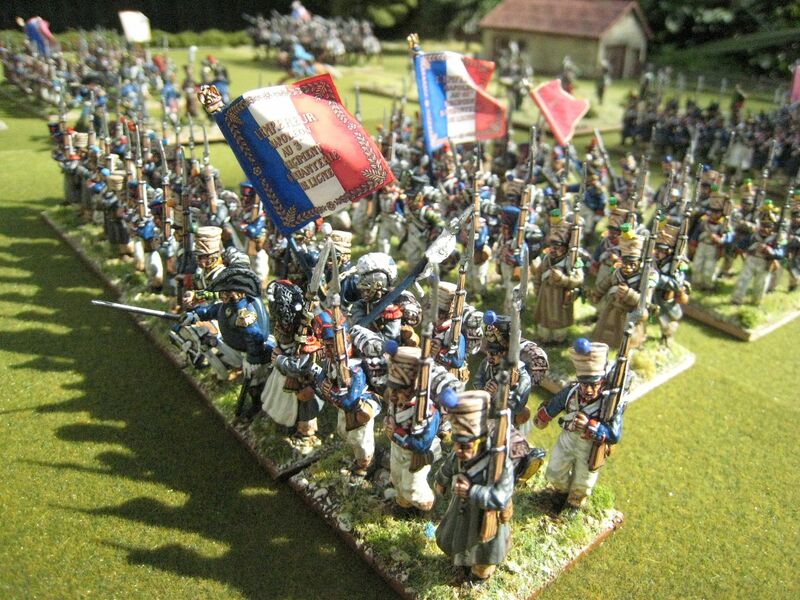 Something I've been meaning to do for a while is take a look at my 25mm French Napoleonic collection. 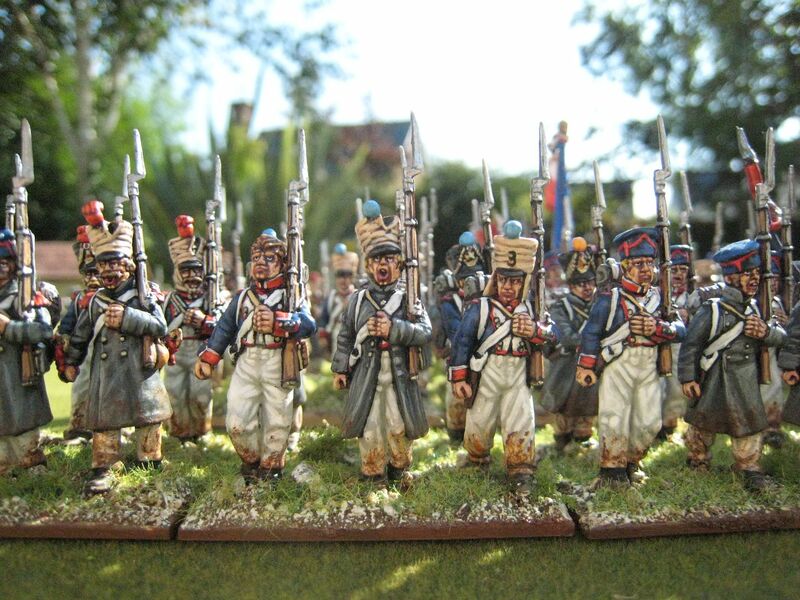 This is something on which I have been working sporadically since early 2007, when I painted various French and Dutch-Belgians things for Loughton Strike Force's Waterloo game at Salute. 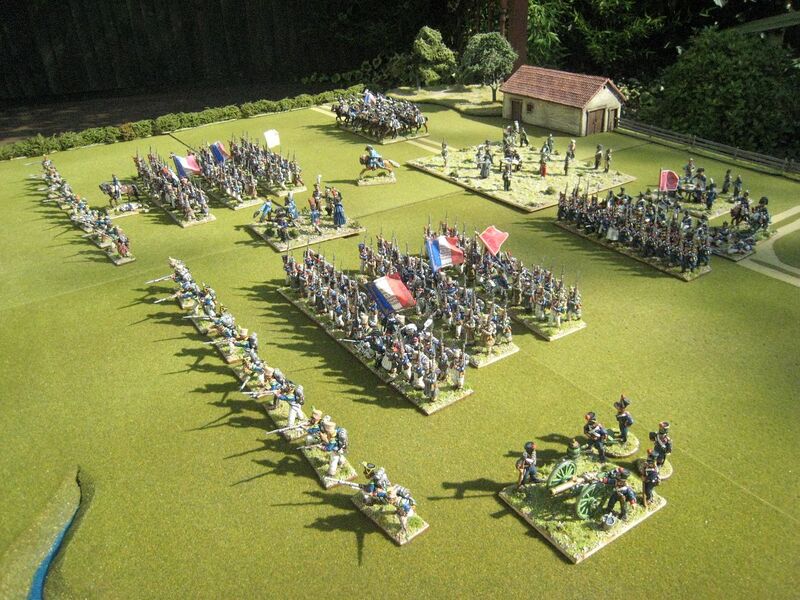 The nature of 25mm Napoleonics has bene revolutionised since then by the introduction of hard plastic figures. 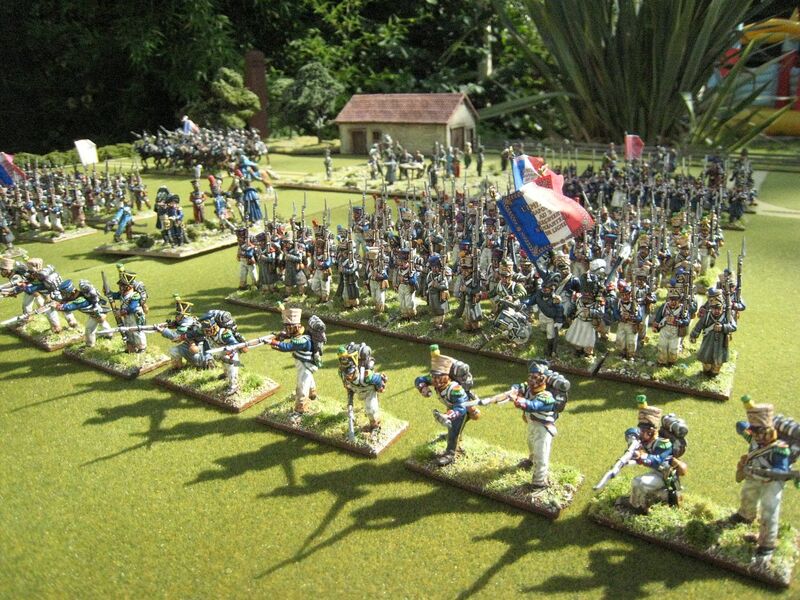 That makes it cheaper to build large forces in 25mm, but of course the time required to paint figures is the same irrespective of whether they are made of plastic or metal. 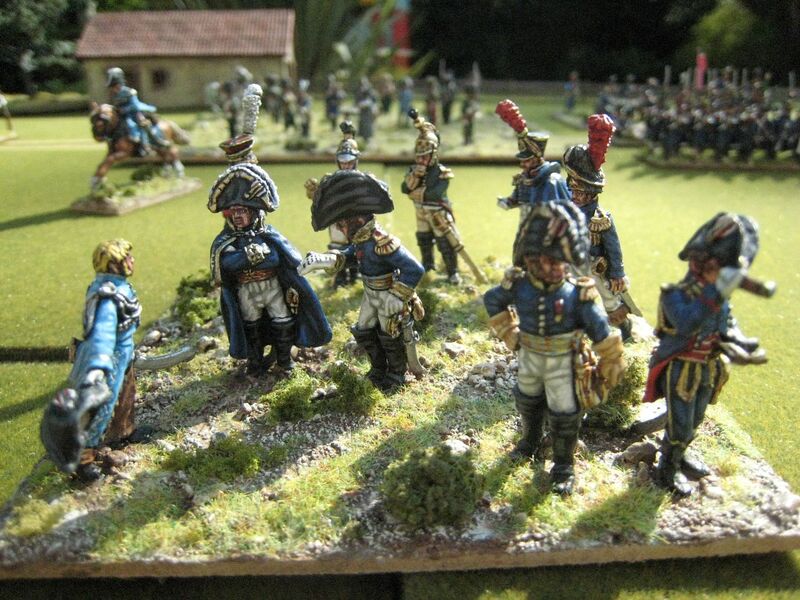 Seeing all these figures together made me realise what an undertaking it is to collect Napoleonics in 25mm. 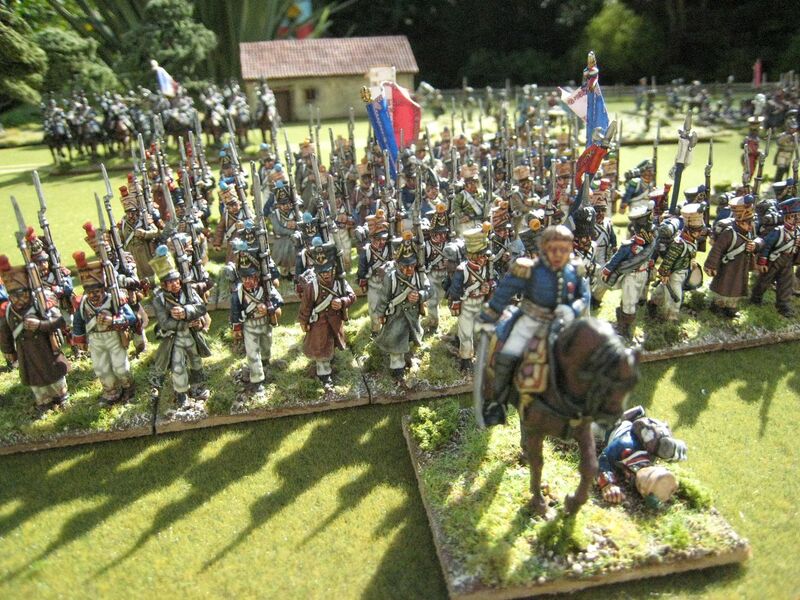 Whilst appreciating that I've painted lots of other things over the past 5 years, a total of 8 infantry battalions, 1 cavalry regiment, 1 gun and a few command stands is not particularly impressive. But it's a start. 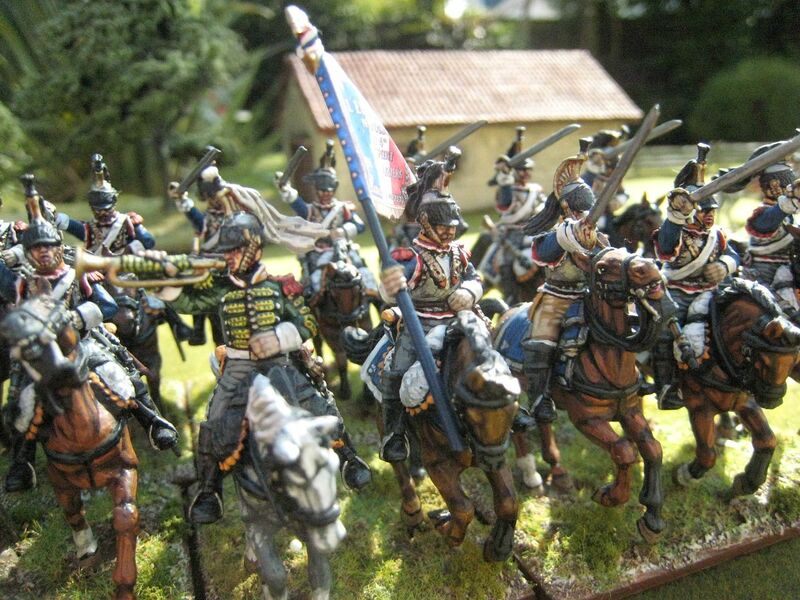 In orbat terms, what we have here is Bachelu's 5th division from II Corps with some other bits and bobs. 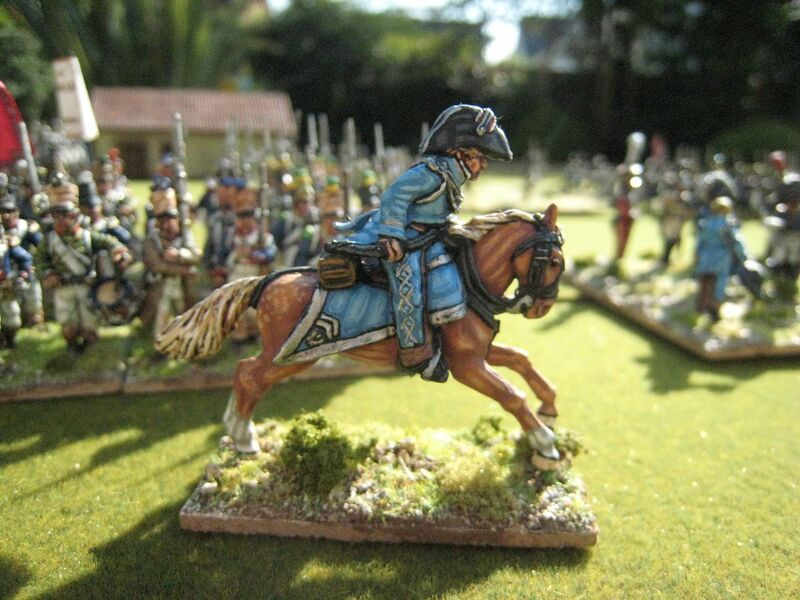 And Napoleon, of course. Most of this collection has never seen a dice rolled in anger, so it was fun to set them all up. 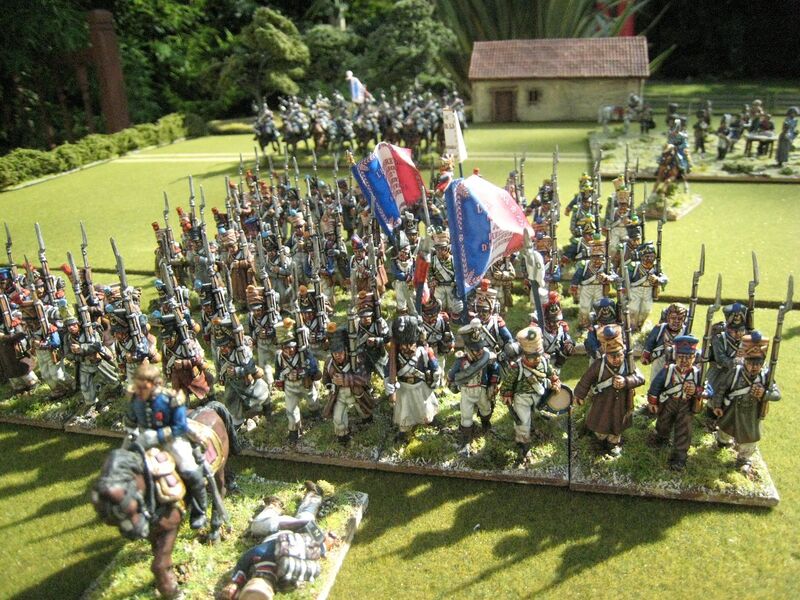 All the figures are from Perry Miniatures save for the gun and crew, which are Foundry. 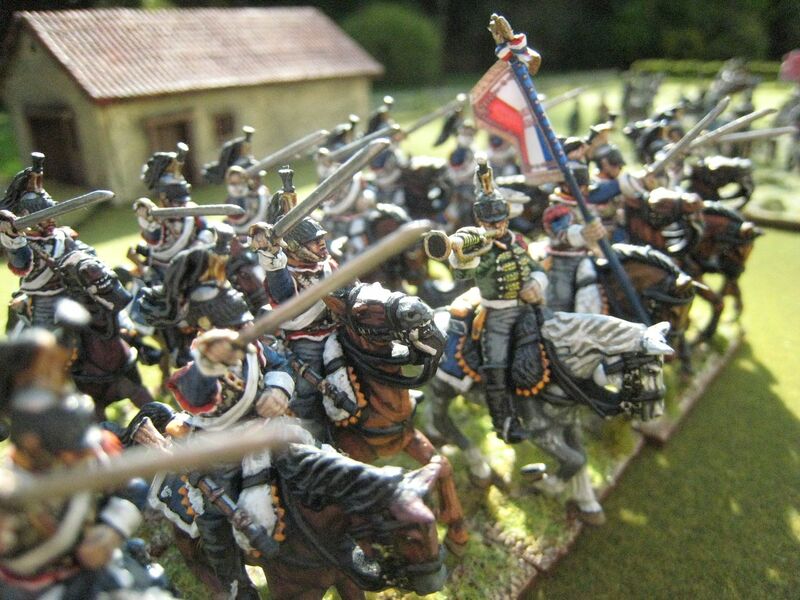 PS: Photobucket continues to be most irritating and it's way of dealing with photos is rubbish.